Music Man had as one of its founding members a certain Mr Leo Fender, who had sold his previous eponymously named company to CBS in 1965. They started out in the early 1970s producing hybrid solid-state/tube amps, but by 1976 had started production of guitars and basses. 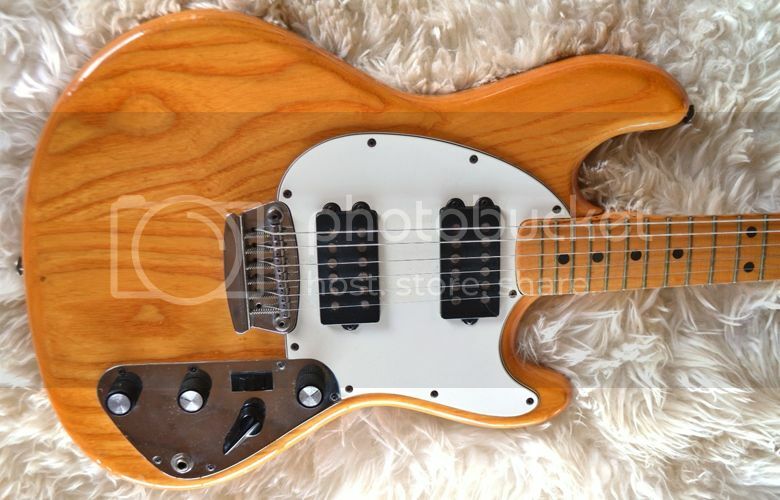 This particular Music Man Sting Ray II guitar dates from 1977, their second year of guitar production. 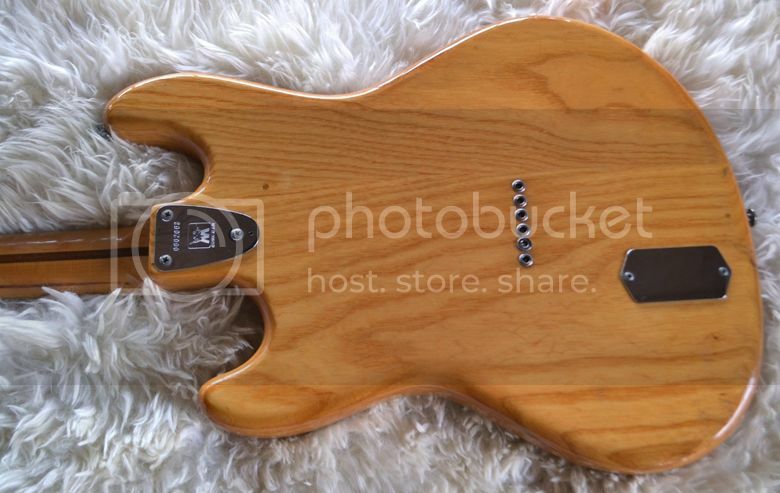 Its Fender pedigree is quite apparent in the design - you can see how this instrument could represent the next logical development following the Telecaster and the Stratocaster. The original Music Man guitars were not as well known or as popular as their basses; some would say that this was because they weren't particularly good instruments, but I can't believe this to be true. I've personally seen one in the hands of Doggen Foster (sometime guitarist with Julian Cope and Spiritualized) and he certainly made it sound incredible. Of course this guitar dates from well before Ernie Ball got their mitts on the Music Man brand; their later guitars would become very popular, endorsed by the likes of Eddie Van Halen, Albert Lee, Steve Lukather, and John Petrucci. Note how this pre-Ernie Ball Music Man features a headstock with six machine heads in a line a la Fender, as opposed to the later ridiculously small headstocks with a 4+2 tuner arrangement that Ernie Ball nicked from certain Gretsch and Teisco guitar design from the 1960s and then claimed was their own copyrighted trademark. Currently listed on eBay with a starting bid of $1,090. I had a Musicman Sabre II guitar a long time ago. Fabulous guitar. I sold it for a pittance because I was poor. Still regret it. Have a StingRay I black finish in good condition and try to sell it! Someone interested?